For those who have known me for a couple of years, know that I’m not that guy ho has his drift car finished early. 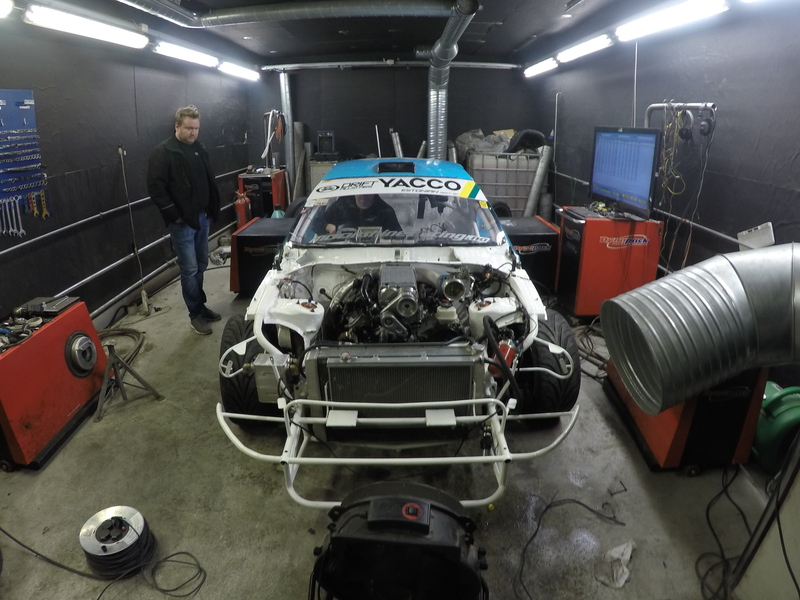 The 3 last years I have been depending on the help from my great friends to get everything done in time for Gatebil Våler May event. This year tho we are finished in record time with the tuning. 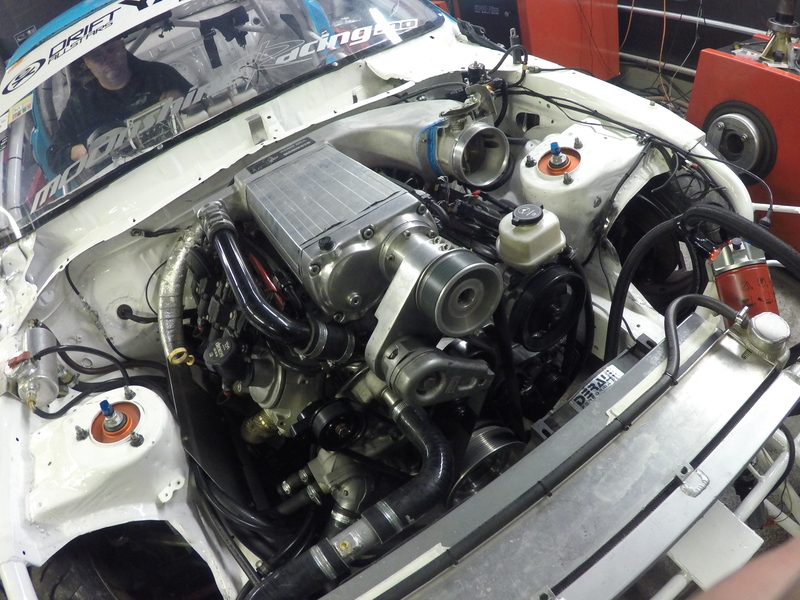 KRB Trading ho is my local tuner took on the challenge to make me a new engine harness, tuning with Autronic and setup of Racepak in record time. Thank you for all your help Kai! Minges Universal Service have also helped me out in short time. They have build a new LS3 short block with all forged internals. This was the first time we started her up and she run really good! Im happy that my friends also paid a visit and helped out. The result was all over my expectations. We ended up with 713 hk and 868 nm(640 lb/fp) which I’m super happy with! And as you can see, it starts at 2000rpm with 740nm isn and its over 800nm from 3000-6000rpm. 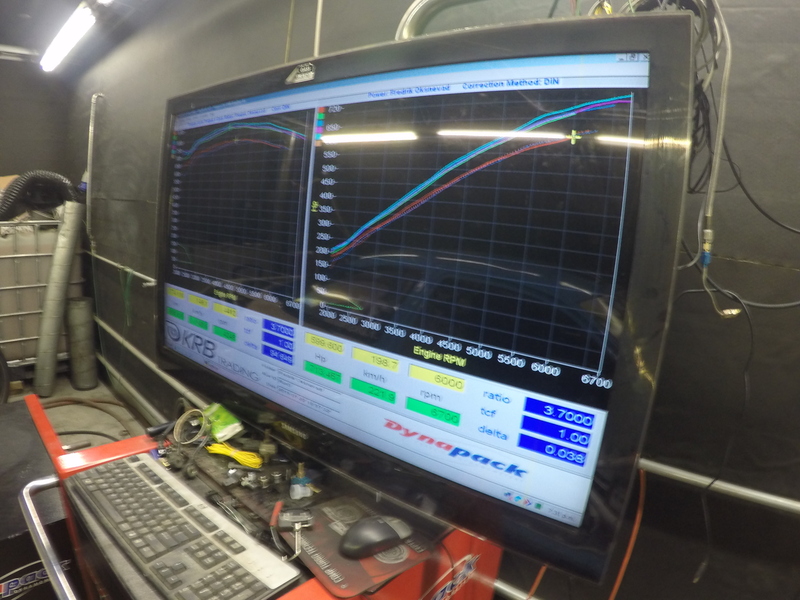 And the curve for hk doesn’t stop either, so we more to get with higher rpm later on. I have to thank my friends who helped me out so I could make the tuning in time. Marius, Stian, Robin and Arnfinn, you are my heroes, thank you so much! Greetings from Romania! I was wondering how heavy the car is. Because I dont want to cut my Soarer but man this thing is heavy! 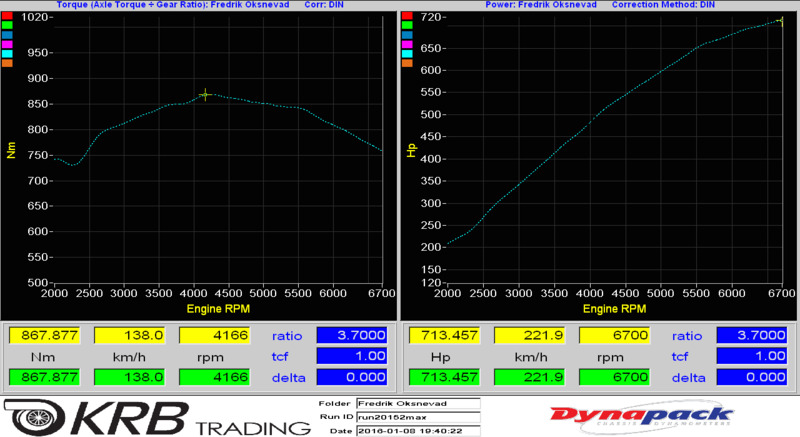 Second, from the dyno charts I saw that you are running a 3,7:1 diff ratio? That is from a manual or a V8, isnt it? Why did not choose the 1JZ diff auto with 4,1? All the best and good luck in Ireland! Hi Liviu. My car as it sits right now is 1300kg without me. I run a 3,7 diff because I have a 4 speed dogbox transmission. I wanted a hight top speed then the 4,1 could give me.